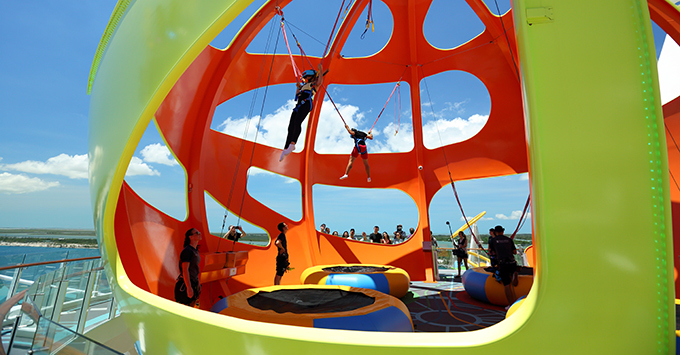 (3:59 p.m. EDT) -- A glow-in-the-dark laser tag arena, Polynesian-inspired Tiki bar and virtual reality ride are just a few of the many new features Royal Caribbean's Mariner of the Seas revealed today in Miami, following a $120 million refurbishment. 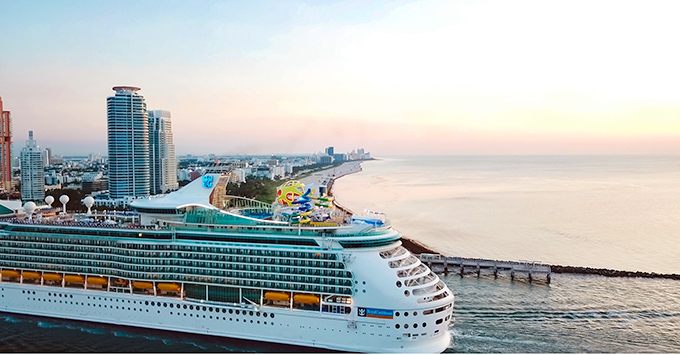 The 3,114-passenger ship will resume operating three-night weekend and four-night weekday Bahamas cruises from Miami, with stops in Nassau and the line's private island, CocoCay. Mariner of the Seas' changes are part of the line's new "Royal Amplified" program. The program will revitalize a total of 10 ships through the next four years. In addition to the virtual reality ride, bar and laser tag arena, Mariner of the Seas received The Perfect Storm pair of waterslides, the FlowRider surf simulator and an escape room. It also introduces a slew of new dining venues, including Izumi Hibachi and Sushi, Jamie's Italian and Playmakers Sports Bar & Arcade, which debuted on the line's newest ship, Symphony of the Seas. Cruise Critic will be onboard Mariner of the Seas for a preview sailing of what's new, beginning tomorrow. Stay tuned for more coverage.